Do you have the latest Google phone and want to show off your style? Then you've come to the right place. At GoCustomized you can create something truly special for your Google Pixel XL. We offer a range of personalised phone cases that will help protect your phone and give you a unique and personal look. 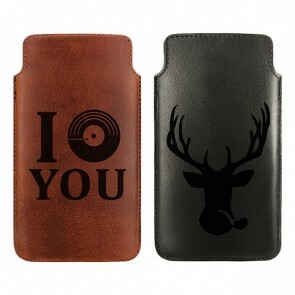 You are the designer of your case because you can create whatever you like and we will print it for you. It's so easy to create your case. Simply upload your favourite photo or design into our customiser, confirm your order when you are happy with the layout, and our team of experts will print your case straight away. Don't forget to add a bit of text if you want to make it even more personal. Your favourite quote or another memory, whatever makes it more special for you. If you're low on ideas or just can't find that creative spark, have a browse through our range of pre-made designs. We offer some fantastic options, some of which are done by our collaboration partners and designers! With GoCustomized, your phone can last longer because we offer your phone good protection and style. Everyone is different. So many people, so many ideas. At GoCustomized, we believe that obtaining a perfect case should be easy for everyone. Therefore, we let you be the designer and have made it so that you can create a case for your Google Pixel XL without any special knowledge. For example, you can choose a photo from the high point of your last vacation, or immortalise an amazing night out that you never want to forget on one of our personalised phone cases. The Google Pixel XL cases have been made so that they fit on your phone perfectly with no obstruction for using its features. Our cases are durable and keep their colour. We offer a range of different cases that you can design, such as our sturdy hard cases or our flexible soft cases. Additionally, you can create a handy wallet case for your Google Pixel XL. It's a smart idea to create a cover so that it protects your phone from drops and scratches to the outside. Simply design your case and your phone will be on its way to your house in no time! What are you waiting for?